"not afraid to hide his influences"... Is that right? It's a little 'wordy' but yes, that's what I meant. I wish I could go to Las Vegas, I love casinos but I have to Play Online Casinos instead. But if I win big online I’m flying straight to Las Vegas to play in a High Roller Casino and lose it all again! But it will be worth the experience! It seems like Golden Palace is making a lot less headlines recently. hold the sign that indicate the number of round had their logo printed on her stomach. Portugal and Spain for example didn’t know a lot about this casino giant. 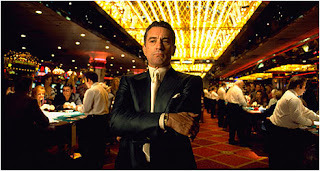 The promotional antics taken by the casino were targeted mostly at an American based audience. if you have been following their history the past few years. Denmark; it’s likely that you have seen the latest Stallone installment and noticed the Golden Palace cameo. I would like to go to Las Vegas and play in a high roller casino but it’s an expensive thing to do, even more so when you live in the UK. I have to resort to playing a casino game online instead which lets me win the money but I miss out on the atmosphere, but still save £600 on the 14 hour flight. So until I win big all I’ll do is play online casino dreaming of Las Vegas.